The Truth About Music » New Poll!! Hey everyone, there is a new poll up on the right hand side of the page. Let’s see if my readers are as smart as they look, every three days I will post up a new category for the Grammy Awards, hopefully we’ll get some of them correct. We Challenge You!! Pick the Grammy Winners and Win Free Music!! 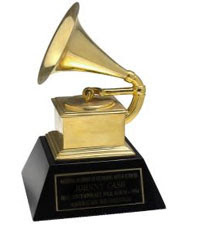 Who Will Win the Most Grammy’s in 2010?